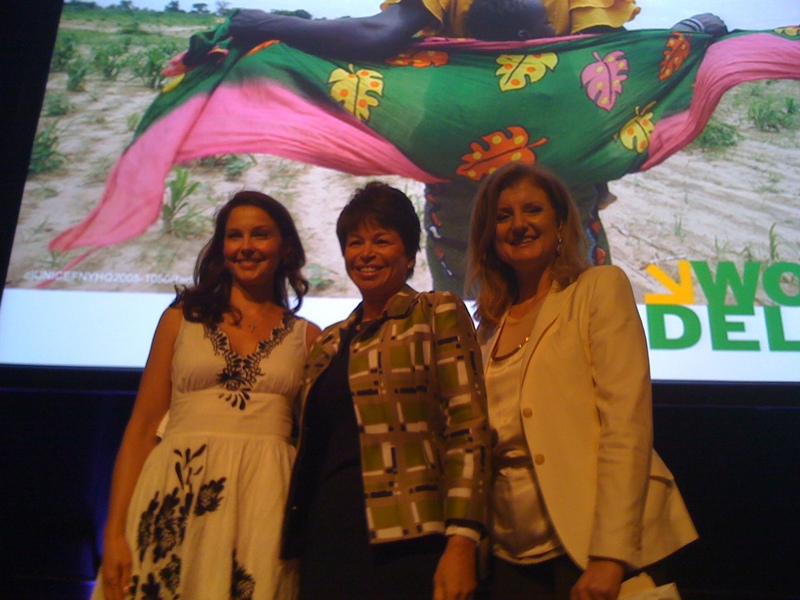 The world’s largest maternal health conference Women Deliver 2010 opened in Washington, D.C., Monday morning. The conference intends to hammer home the point that maternal and reproductive health is a global priority. And the Ms. Blog is there on the scene! My fellow Ms. Magazine Bloggers and I are live-blogging for you all this week from Women Deliver 2010! Day 1: Today I reported on the Opening Plenary with UN Secretary General Ban Ki-Moon, Former President of Chile Michele Bachelet, the Women and Power Session with Arianna Huffington, Ashley Judd and Valerie Jarrett, and then wrapped up with the screening of Christy Turlington-Burns’ new documentary on maternal health, “No Woman, No Cry.” Between myself and my colleagues, we have everything covered for you! Click here on the Ms. Magazine Blog to see what we reported LIVE today, and enjoy my pics below! Day 2: Today I interviewed actors Ali Carter and Rachel Leigh Cook, both invited to Women Deliver 2010 by the United Nations Foundation. I also covered Ms. Magazine Publisher, Ellie Smeal’s short but powerful talk on maternal health. Check out mine and my colleagues coverage for you live from Women Deliver Day 2! One more day to go so stay with us. Day 3: Being the last day of the conference made today a bit sad. Absorbing the electricity and the excitement, (oh, and did I mention the amazing women?) of Women Deliver 2010 has been addictive to say the least. 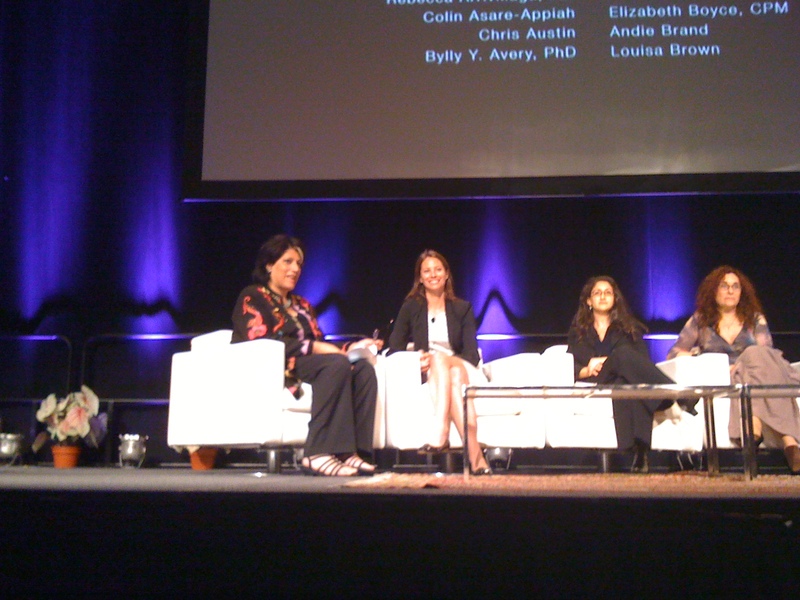 Today I reported on Joan Walsh, Editor-in-Chief of Salon.com’s session on language and messaging, and covered the session about how increasing the number of skilled birth attendants in fragile, conflict-ravaged states such as Afghanistan, can contribute in making one of the most important UN Millennium Development Goals (MDG) #5, to cut the world’s maternal mortality ratios by three-quarters, a reality. So where exactly are women dying? According to the Merlin Group, an international medical non-profit organization, with the exception of Afghanistan, more women die in sub-Saharan Africa than anywhere else in the world. With more skilled health workers, more mothers will be saved. If change can happen in Afghanistan, then it can happen anywhere. As the Closing Plenary wrapped up, Ms. Magazine Blog asked Jill Sheffield, Founder and President of Women Deliver, what is the one message she wants attendees to depart with? They’re not isolated anymore, they know their resources. It’s bigger than any one person. It always makes you feel better to be part of a positive movement, and that’s what this has become. That they can do it. That they have to do it, and they’re going to do it.